Even though Apple is renowned for comprising of one of the most secure and steady operating systems around, they do tend to go overboard at times in terms of their many restrictions. On purchasing an Apple product, one is required to adhere to a certain set of rules, like the inability to download any app of your choice, or even customizing your device. By Jailbreaking it, one is stepping over the boundaries set by Apple, in order to acquire more freedom in terms of functionality. Technically, Jailbreaking is frowned upon by Apple, as it’s looked upon as a breach of trust (or, stabbing them in the back). They even threaten to revoke the user’s warranty, if they engage in the act. However, Jailbreaking (despite what the name would have you think), isn’t an illegal act. According the US Government’s Digital Millennium Copyright Act, it is hereby legal to do so. So, one can rest assured of not messing with the law, when embarking upon this rebellious journey. Apple launches a new innovation every now and then in order to cater to its ever fickle market, each time resulting in the development, and release, of new Jailbreaking software’s. Recently Apple launched its very latest operating software, the iOS 6. So this time around, we have two of the more renowned Jailbreaking software’s, EvasiOn and RedSnow, to break into its various new features. However, before you do so, ensure to take precautionary measures first. Make a back-up of all your files, ‘lest you lose them in the process. Also, disable your Password Lock in order to prevent issues later on in the stage. First, download the EvasiOn software on your computer. You may find versions for Windows, Mac and Linux. Once it’s done downloading, drag and drop it onto the desktop. Open the software and simultaneously plug in the iOS device that you wish to Jailbreak. EvasiOn may instantly recognize your device, and a window may pop up. Halfway through the process, it may ask you to unlock your device and tap on the new Jailbreak icon that has now appeared on the main screen. Once it has installed completely, the device in question will restart. It may do this a couple of times before it has completely finished the process. Once it comes back on again, you may notice a Cydia icon, right next to the rest of your apps. You have now successfully downloaded EvasiOn’s Jailbreak software. First, download the RedSn0w 0.9.13dev4 software directly on to the device that’s to be broken into. In order to switch the device to DFU (Device Firmware Update) mode, follow the step-by-step instructions that RedSnow would provide at this point. Once you select the DFU mode, you will be able to access and employ the Jailbreak function automatically. Now, restart the device in the Jailbreak mode. Bear in mind, RedSnow may require you to launch it each time that you need to switch to Jailbreak mode, albeit then, you can simply command it to ‘Just Boot’. RedSnow is currently working on a more advanced version of this software, and hopefully will rectify this conundrum at the earliest. 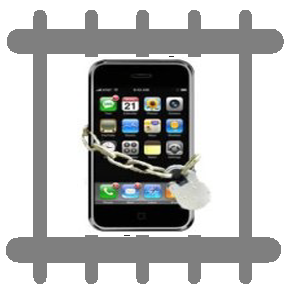 Jailbreaking is a relatively user-friendly process that is hardly riddled with complex procedures. If one is in need of an app or feature that Apple fails to provide, simply download any one of these Jailbreaking software’s to acquire them. However, to stay on the safe side, first exercise the above mentioned precautionary measure before you do so. Once you do that, the world is your oyster. Carlene Masker is a technology enthusiast who is fond of writing helpful tips and fresh tidbits of information about the different fields in technology and innovation. She is currently working with Buyverizon Telco Services where you can find the latest information on finding internet service promotions.